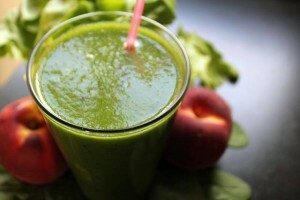 Home » Blog » 3 Healthy Detox Juices To Shed Your Belly Fat! 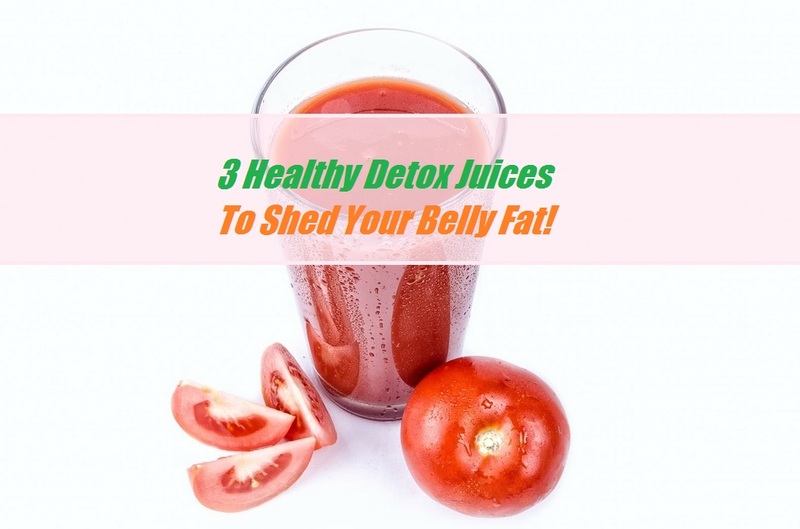 3 Healthy Detox Juices To Shed Your Belly Fat! From celebrities to housewives, juicing has become an increasingly popular health trend across the nation. With the overwhelming number of health benefits that it has been shown to have, there is little wonder why people all over the country have started picking up their vegetables and pressing them through a juicer. Even renowned doctors, such as Dr. Oz, have testified to the benefits of juicing as part of a balanced daily diet. The idea behind juicing is to extract the liquids from both fruit and vegetables to drink on its own. This allows you to be able to consume far more nutrients than if you were eating the entire fruit or vegetable. Because it is a liquid, your body is able to absorb the nutrients quickly and with very little effort. 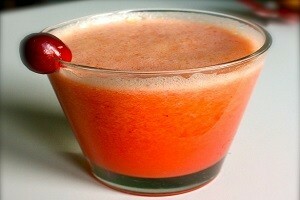 Within twenty minutes of drinking freshly juiced vegetables, your body is able to absorb nearly all the nutrients. This is opposed to the hours it would take for your body to digest the vegetables if eaten whole. While drinking juiced fruits and vegetables in addition to a normal diet is great, doing a juice cleanse—or exclusively drinking juices for nutrition for a set period of days—can have amazing health benefits. Because fruits tend to be higher in sugar, juices that are good for burning fat tend to be primarily vegetable based. Collard greens, such as kale and spinach, are very low in calories and very high in nutrition. They are full of calcium and vitamins to help leave you feeling satisfied after a juice-only meal. Incorporating watery vegetables, such as cucumbers and celery, is also a great idea. Not only do they contain a lot of fiber to help cleanse the colon, but they also help to increase the volume of the juice. Ginger, lemons, and limes are a must for juices aimed at fat burning. They stimulate your metabolism, which helps to increase the amount of calories that your body burns. And it is always important to include something with a bit of sugar in it, such as carrots or apples, to improve the overall quality of the taste.
! Knowing which vegetable to combine together is great, but knowing the quantity of each is even more important.
! For an experienced juicer, you will be able to make juices up according to your own tastes and the benefits that you are looking for.
! For a beginner, however, it is helpful to have a recipe to follow. 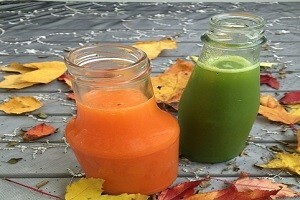 Here are three different juice recipes designed to help stimulate fat burn in your body. As the size and juiciness of the vegetables will vary, each of these juices will yield between a pint and a pint and a half of juice. With every juice that you make, it is important to wash your fruits and vegetables thoroughly. If possible, choosing organic produce is always the best idea. This will decrease the amount of chemical pesticides you are ingesting. Depending on the juicer that you own, you make need to cut the fruits and vegetables into halves or thirds before they will fit through the opening. √ It is best if you drink your juice immediately after juicing, but they can be stored in the refrigerator for several days if you need to make them ahead of time. If you are planning to do a juice-only detox, the more variety that you have, the better. If you have never done a juice-only detox before, it is best to start slowly. Begin with a 24 hour cleanse and if you are successful and find it beneficial, increase the time to two or three days. It is best not to try and jump into a week or longer juice cleanse until you have first familiarized your body with the process. While your body will be receiving more than enough nutrients to thrive on during a juice-only cleanse, it will take you a day or two to adjust to having no solids in your diet. Once you do, not only will you start to see the fat disappearing off your body, but you will be met with an incredible amount of revitalizing energy.